Chili Seed Oil 10 ml. Description / Color / Consistency: This is a viscous dark red liquid. Aromatic Summary / Note / Strength of Aroma: A base note with a mild aroma and a somewhat spicy scent. 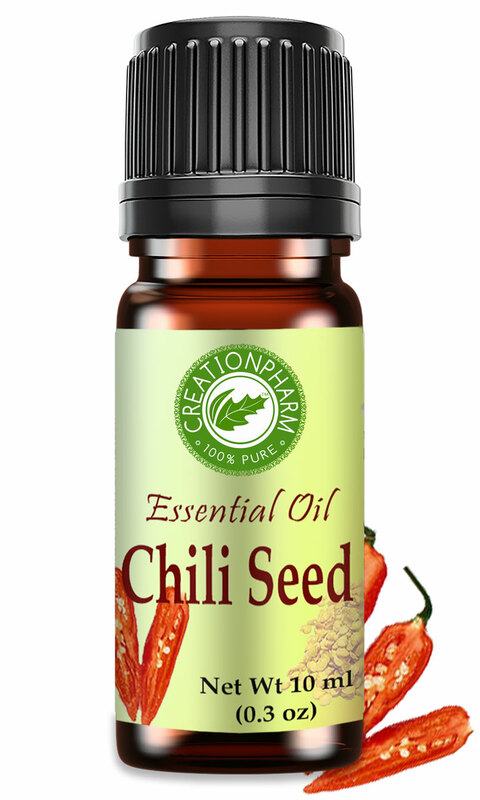 Blends With: Chili Seed is not typically blended with other essential oils. Product Abstract: The chili pepper, a hotly pungent variety of Capsicum was first cultivated by the people of Central and South America in around 3000 BC. Columbus brought the seeds back to Europe in 1493, and from there it spread throughout the entire world as a favoured spice for cooking. The oil is derived by passing steam through the seeds - the source of the most intense spice. Cautions: Dilute very well before use; May cause skin irritation in some individuals; a skin test is recommended prior to use. Contact with eyes and mucous membranes should be avoided; wash hands immediately after use. Excessive use of this product should be avoided. It may stain clothing and skin.